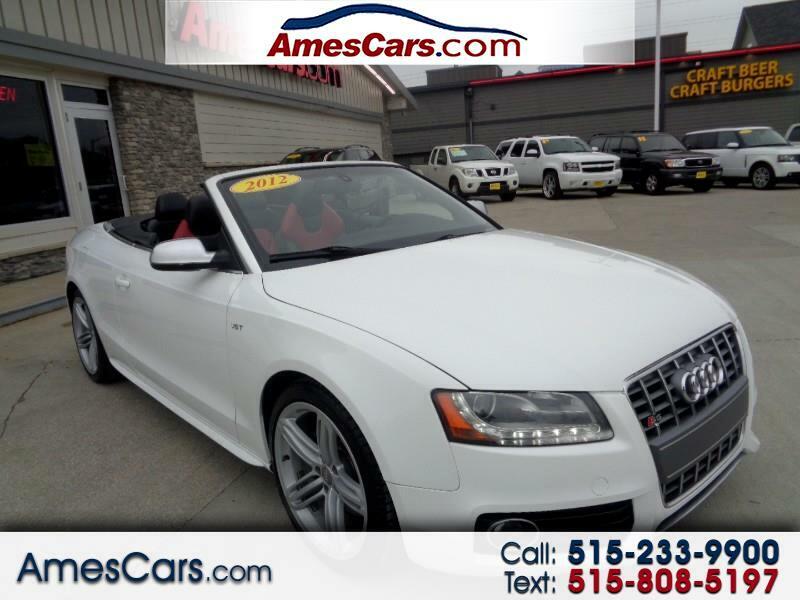 *****NEW ARRIVAL*****2012 AUDI S5 CONVERTIBLE FEATURING LEATHER SEATS, HEATED SEATS, DUAL POWER SEATS, DRIVER MEMORY SEAT, DUAL ZONE AUTOMATIC CLIMATE CONTROL, XM RADIO, ALL WHEEL DRIVE, POWER CONVERTIBLE TOP, LOCAL TRADE IN THAT RUNS AND DRIVE GREAT! CALL FOR MORE INFORMATION AND TO SCHEDULE A TEST DRIVE TODAY! !